Today Emily Sinkhorn and I spoke in depth about The Great Redwood Trail and support of the Senate Bill that would create the Great Redwood Trail Agency. This would convert the NCRA into this new agency to maintain and steward the long, contiguous public right of way. 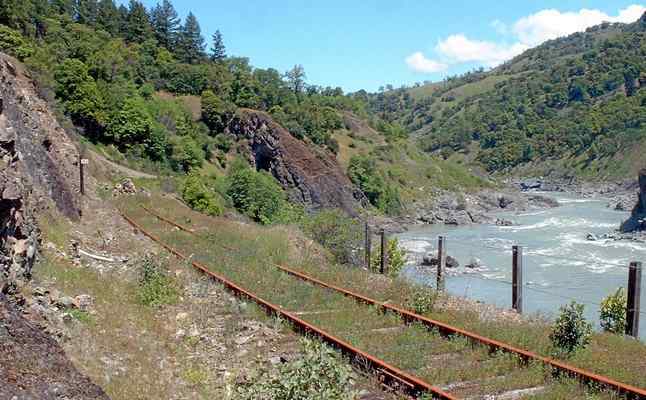 The idea would be to put in a trail system between here and Willits. The bill, SB 1029 has gotten wide bipartisan support in the California Senate and Assembly and broad support in the counties that this trail would transect. Please call the Governor's office to support funding of SB 1029, The Great Redwood Trail. Call (916) 445-2841. Your phone calls of support of funding make a BIG difference! We also talked about the upcoming ballot proposition to repeal the gas tax that the state put in place to help fund the state's crumbling infrastructure and also support other transportation projects. If this passes, it will greatly impact all aspects of transportation in California.